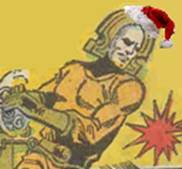 The JLA and the True Meaning of Christmas! Hmmm, it would appear that 1973 was not a banner year for Santa Claus. And murder? Who would want to murder jolly old St. Nick? Rival toy companies maybe? Then again, was Santa really killed off in 1973? He still seems to be doing quite well in 2007, appearing in constant TV specials, commercials and so on, all before his highly anticipated Christmas Eve dash. Maybe Tim Allen’s movie was right, and Santa just constantly gets replaced whenever he’s bumped off. It seems odd that the person pegged for replacing Santa is the same guy who bumps him off, but hey, who am I to judge (that was the premise of The Santa Clause movie right)? The system seems to have been working so far, so why fix what ain’t broke? 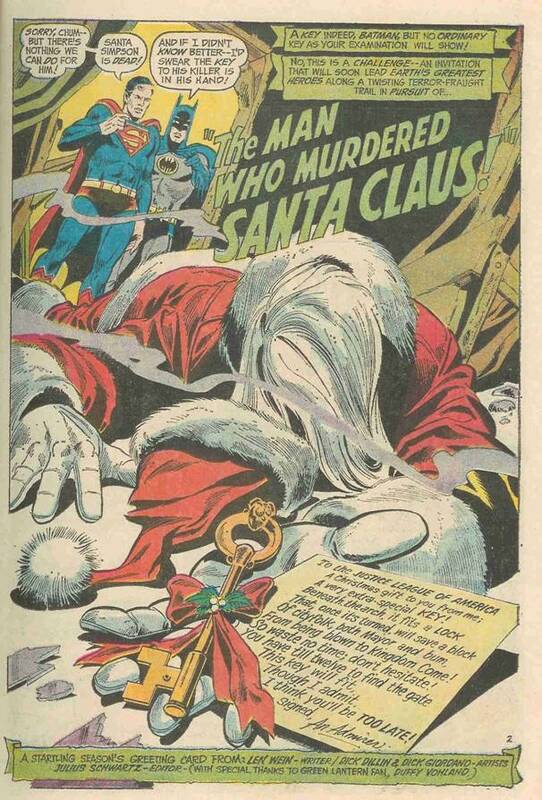 It’s shocking – absolutely shocking that a man posing as Santa would be murdered simply as bait for the Justice League! What’s next, knocking off the Easter Bunny? Baby New Year? The Sandman – oh, wait, that one’s been done already. Sorry. Poor Santa Simpson, the guy just wanted to play Santa for a bunch of kids and now he’s gone! I bet the JLA is seething at this outrage! I bet once this story is over they will eulogize Santa (Homer) Simpson for his good deeds and expound the true meaning of the holidays – but first they must stop the dastardly mastermind… d’oh! The man with the funky headdress is the Key. 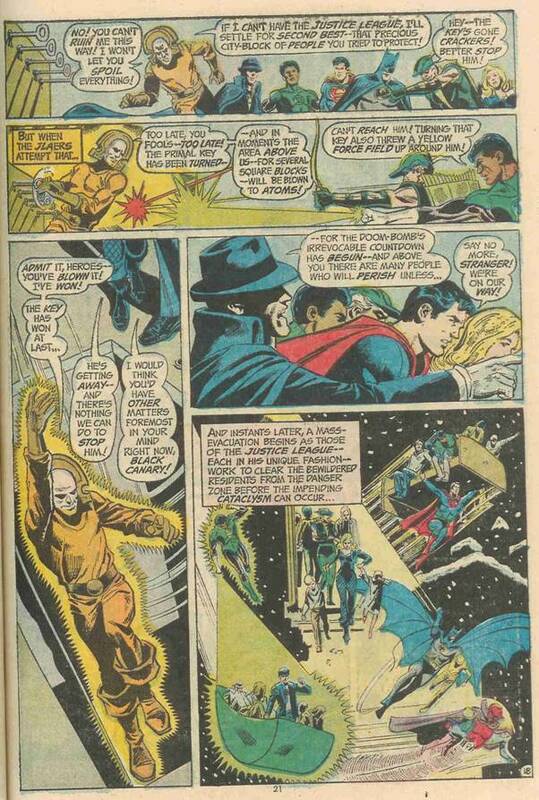 During the course of the story he baited the JLA to a slum house where they seemingly perished one by one. 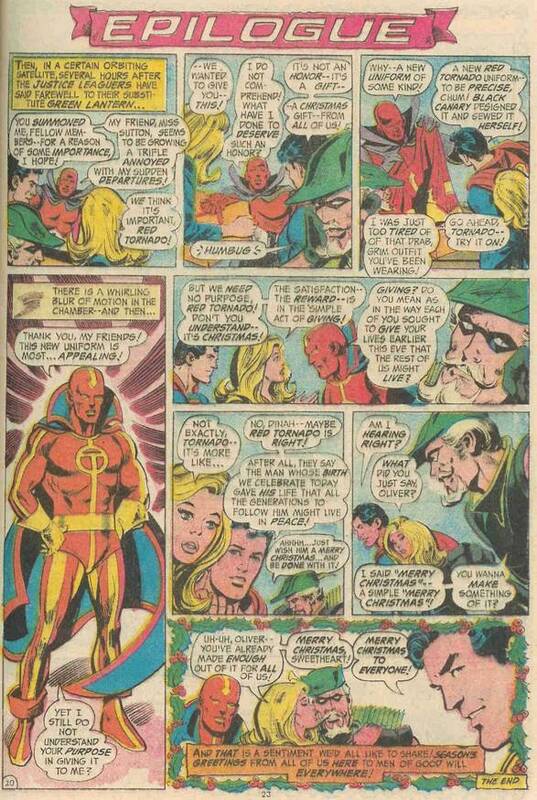 The Key claimed he wanted to knock off the JLA before he died of his own terminal illness, but my theory is he just wanted to take Santa’s place and obtain immortality, just like Tim Allen. 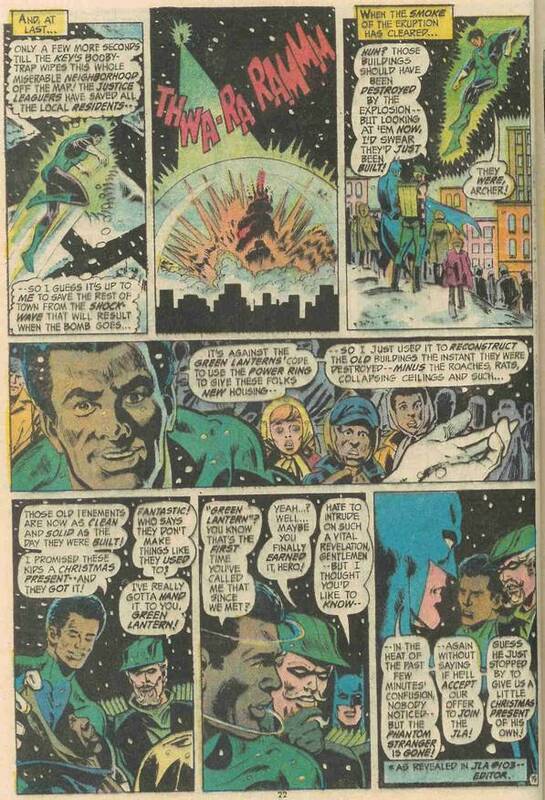 Of course he fails, thanks to a timely intervention by the Phantom Stranger, but will the JLA be able to stop his diabolical plan of obliterating a large chunk of the city? And with that, a Merry Christmas and a Happy New Year to all of you!